Have they put a price tag on this bugger yet? Last thing I heard out of the rumor mill was a ridiculous $30. I've put thousands of hours into D3 and still play every season and there's no way in hell I would pay $30 for this. I strongly hope for a 10 or 15 dollar price tag. $10 sounds fair. $15 is pushing it. I'm hoping it's one of those two. As I said: the $30 price tag was just the last thing I heard out of the rumor mill, so I'm really hoping it's not accurate. Who still plays Diablo 3? I do, on occasion. I quite like the game, actually, ever since they fixed the itemization with the expansion the only real issue I still have with the game is the ridiculous online DRM for the PC version. 3. How well would it do in speed achievements? Concerning price, your average SC2 commander costs $5. Your average HotS hero costs around $10 (or you can use gold). 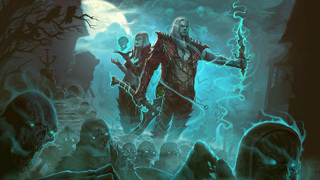 I can't see the Necro being more than $15, since it would be more labour intensive than the other two - you've got to create a class with two genders, the skills, the pets, the cinematics, and get in two voice actors for all of his/her lines across five acts. That said, I think any more than $10 would be pushing it. But $30 is rediculous, but I've no idea where that rumour came from. Unless they answer "how much will it cost?" and/or "when will it be released? ", I really just don't care about the Q&A. Details regarding the Necromancer's skills and whatnot can wait until I have my hands on it. Part of me says, "there's no way they would do more than $15"
But Part of me says, "this is the blizzard who has whole heartedly embraced the money grubbing Gatcha strategy in their microtransactions". So honestly it could go either way.